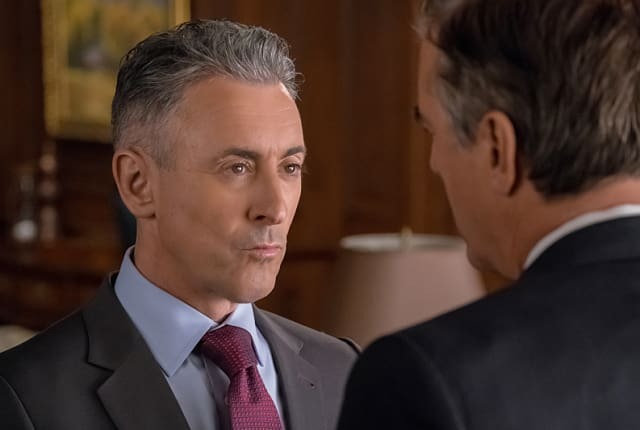 Watch The Good Wife Season 7 Episode 15 online via TV Fanatic with over 10 options to watch the The Good Wife S7E15 full episode. Affiliates with free and paid streaming include Amazon, iTunes, Vudu, YouTube Purchase, Google Play, Hulu Plus, Amazon Prime, CBS All Access, Verizon On Demand, and CBS All Access (Via Amazon Prime). On The Good Wife Season 7 Episode 15, Eli hires Elsbeth Tascioni to find out why the FBI is after Peter while Alicia joins a secret panel of attorneys on a case. David: You kinda got a cowboy thing going on, don't ya. Cary: What are you doing for lunch today? The Good Wife Round Table: Does Alicia Have Drinking Problem?